Click here to download the PS1 form. Please make sure parents complete the top section of the PS-1 form. Please see the example below. Coaches or the club registrar will complete the rest. 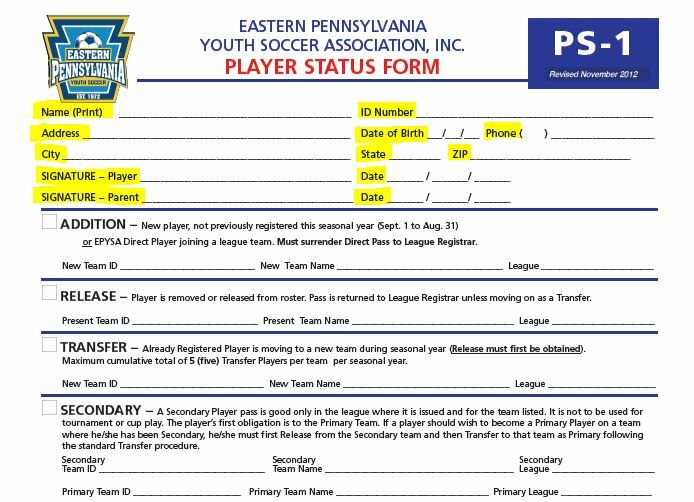 You must have a PS-1 for any player you add, release, and/or transfer once your team has been registered. Completed forms should be sent to Vic Engel.